Our business plan is simple: to make your wedding planning process as easy, stress-free and fun as possible. Anything & everything wedding related, we've got covered! First, we'd like to know what budget you're working with. Next, we treat your event as our own by finding the best vendors & bringing them on board. We look over all contracts, make negotiations on your behalf and work to get the most out of your budget as we can. All coordination services are included when booking "Full Service" package. Pay absolutely nothing for your first consultation. We will walk you through the steps and give you our expert advice. Over coffee/tea, we'd sculpt a basic timeline, draw up a budget analysis & provide you with necessary tools to start you off. Our goal is to make you feel comfortable yet excited about your journey. Schedule your meeting day! Unlimited in-person meetings to discuss: Preferences, priorities, personality, taste and style. location, invitations, décor, attire, cuisine, etc. Ceremony planning & reception planning. Budget and cost analysis, including creation and management of a personal budget spreadsheet. Unlimited access via phone and email. Location sourcing and attendance to site visits. Assist with wedding website content/wording. Creation of event floor plan. Assistance with planning for the rehearsal dinner. Detailed schedule for rehearsal, ceremony, and reception, including vendor and wedding party timetable. Assist with development of the reception seating assignment. Assistance with selection of wedding attire and accessories. Assistance with selection of wedding party gifts. Personal attendance to select service provider meetings based on Client’s needs. Review proposals and contract review. Rental placement and management, including obtaining quotes (including chairs, tables, linens, service-ware, draping, lighting, dance floor, specialty rental items, etc.) and finalizing order with the selected company upon client's approval. Track vendor deposits, payments and due dates. Assist client with tracking vendor expenses. Distribute wedding day timeline for vendors. Contact vendors the week of the wedding to confirm previous discussions and verify all final details. Relay final head count to appropriate parties. Organize wedding party for line-up and placement. Final walkthrough at reception and ceremony site. 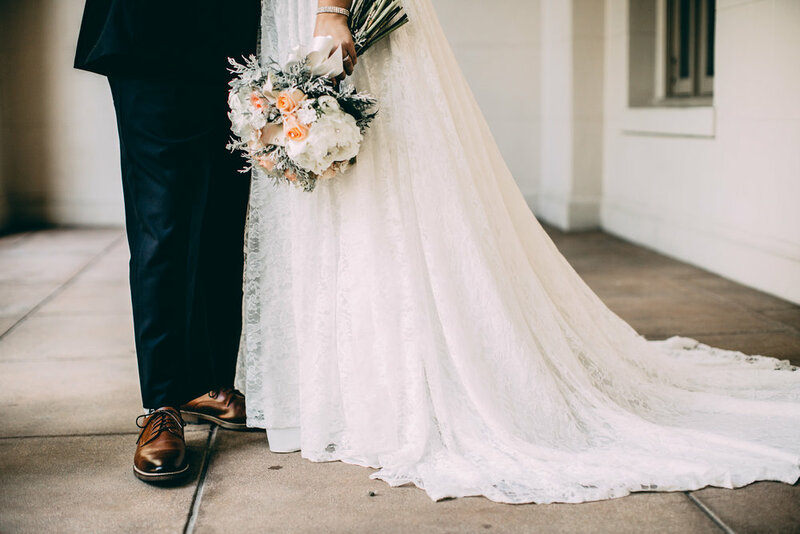 Full day wedding coordination: overall management of wedding ceremony and reception for up to 10 hrs on wedding day with one wedding planner and one assistant. Use of wedding day emergency kit. Assist wedding party with attire. Manage the timing of the event with wedding party, family members and vendors. Distribute flowers to wedding party and family. Place table centerpieces and decor. Setup and prep favor tables. Greet guests and assist with seating arrangements as needed. Attend to guests needing special assistance. Coordinate with musicians on song selections. Review reception activities and timing with band or MC/DJ and photographers/videographers. Coordinate transport of gifts and personal items into designated car or hotel room.